The simple fact of the matter is, just like the hair on your head, your beard needs to be washed, conditioned, and groomed daily if you want to look and feel your best! Less is more when it comes to beard care, you don’t need an endless supply of products (or fragrances) to choose from, you just need a few EXCELLENT ones that make your beard look great! 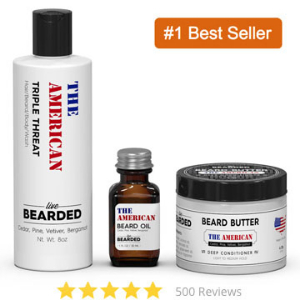 Our motto is, “Keep It Simple Beardsman.” Using our, 3-step beard care system you can do just that in just a few minutes a day. It's as easy as 1 - 2 - 3! Our Products Are Designed To Be Used Together Daily For Best Results!